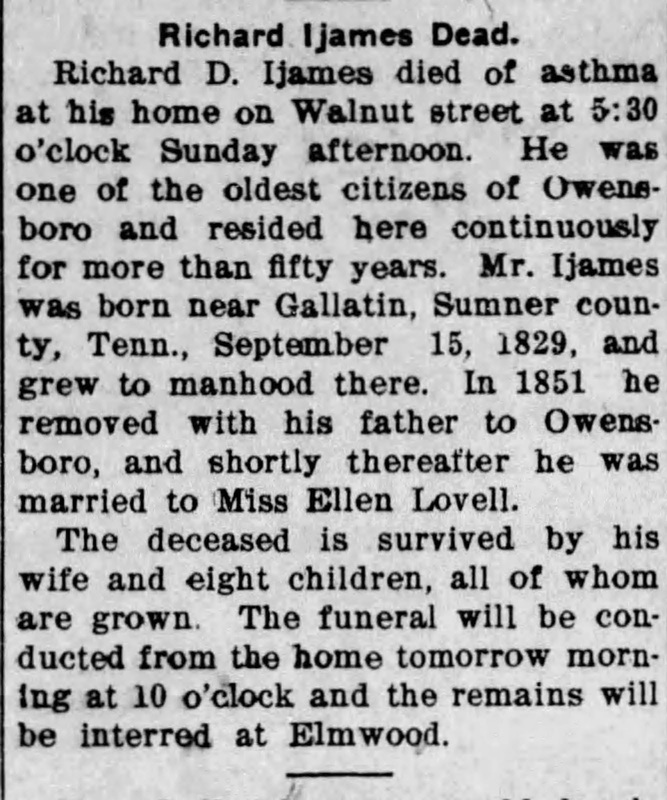 In 1902, on Oct 19th, my paternal two times great-grandfather, Richard Denton Ijames, died of asthma in his home in Owensboro, Kentucky, and leaving his wife, Marjorie Ellen (Lovell) a widow with eight children. Richard D. Ijames died of asthma at his home on Walnut street at 5:30 o'clock Sunday afternoon. He was one of the oldest citizens of Owensboro and resided here continuously for more than fifty years. 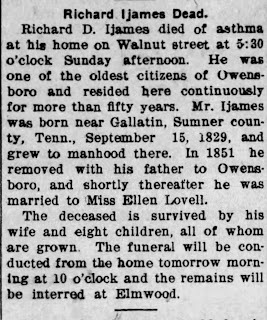 Mr. Ijames was born near Gallatin, Sumner county, Tenn., September 15, 1829, and grew to manhood there. In 1851 he removed with his father to Owensboro, and shortly thereafter he was married to Miss Ellen Lovell. The deceased is survived by his wife and eight children, all of whom are grown. The funeral will be conducted from the home tomorrow morning at 10 o'clock and the remains will be interred in Elmwood. 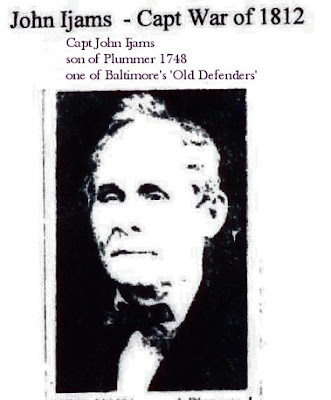 Remembering my third cousin five times removed, John Ijams, a Captain in the War of 1812 and one of Baltimore's "Old Defenders," . . . son of Plummer Ijams II (1748-1795) and Jemima Welsh (1760-1789). Capt. John Ijams was born in Ijamsville, Frederick, Maryland on the 3rd of April in 1789 and passed away on the 31st of August in 1879 in Baltimore City, Baltimore, Maryland, one hundred and thirty-nine years ago today. Plummer Ijams II, father of Capt. John Ijams and second cousin, six times removed to yours truly, a native of Maryland, moved to Frederick County and purchased a tract of land, "Paradise Grant" from the government which became, "Ijamsville." 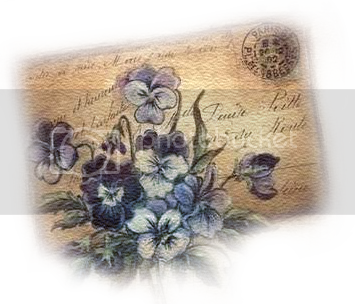 You can read a bit more →here← about my ancestors little town in Maryland. Remembering my first cousin, twice removed, Edgar G. Sirles (1900~1941) . . . son of James T. Sirles (1874~1930) and second great aunt to yours truly, Rosetta 'Rokie' nee Jarboe. 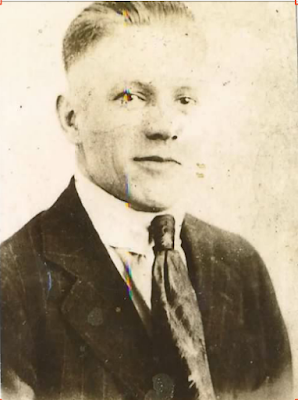 Great-grandfather to my third cousin, once removed, Kerry (we connected via DNA) . . . on what would be his 118th birthday today.